A simple yet flavorful snack. 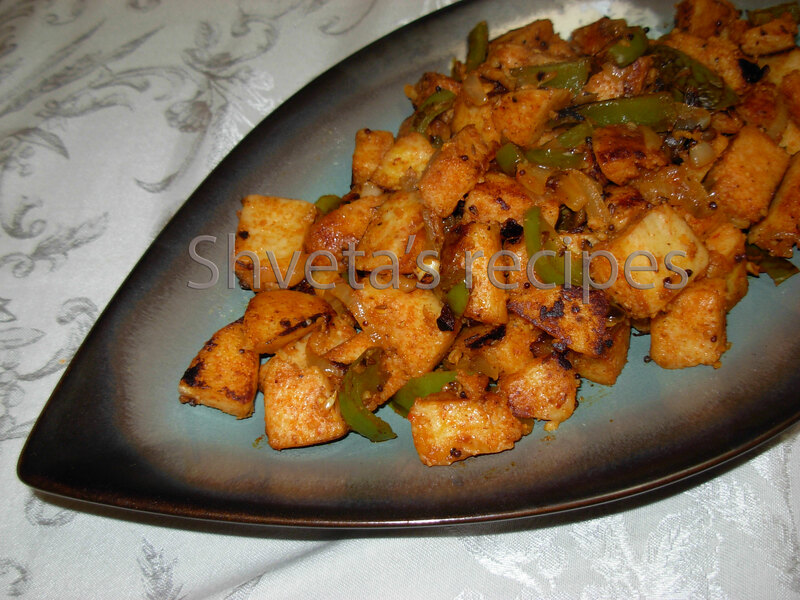 In my opinion, making fried idli is the best use of leftover idlies. It can be served in between meals or as a hearty breakfast. 2. Cut cooked idlies into small bite size cubes and shallow fry it. Keep fried paneer aside. 4. Add onions first and stir fry on high heat for 30 seconds. 5. Add green bell pepper with mushrooms and stir-fry for another 2 minutes. Add fried idli cubes to it. Add cashews. 6. Stir in stir fry sauce, Maggi Hot & Sweet sauce, Garlic chili sauce, honey (or brown sugar) and salt. Cook for a few more seconds. Serve hot anytime as snack or breakfast and Enjoy.